Several countries are now well experienced in investor–state dispute settlement (ISDS) and have had some success in defending domestic interests from investor claims based on international investment agreements (IIAs). This article discusses legal defence strategies employed by Argentina and Ecuador in disputes with investors active in utility and oil sectors respectively. While the nuances of these disputes cannot be covered adequately here, my intention is to distil lessons from prior experiences that could benefit countries—particularly in the developing world—as they devise their future legal defence strategies. Argentina is the most frequent respondent state to ISDS cases, most of which stemmed from the emergency measures adopted in the wake of the country’s 2001 economic crisis. These measures froze unregulated utility tariffs and devalued the Argentine peso, which had been pegged to the U.S. dollar. As a result, contracts signed with foreign investors significantly devalued while investors’ debt remained high. At least 44 known treaty-based claims were brought against Argentina in response, all but 4 of which under the International Centre for Settlement of Investment Disputes (ICSID). Utility operators alone brought 29 cases; the water and sanitation services sector initiated 9; electricity and gas distributors, 20. A handful of cases were brought against Argentina in the years preceding the crisis, which revealed to state officials the extent to which the country was ill prepared to address investor claims. Few state lawyers had extensive knowledge of ISDS proceedings. A legal team was established under the State Attorney General to deal exclusively with the cases while the national and provincial governments created commissions to renegotiate contracts with affected foreign investors. Most foreign investors brought claims as a means to gain leverage in the negotiations. Upon Néstor Kirchner’s election in 2003, emphasis was placed on giving incentives to foreign investors to drop ISDS claims using the promise of new contracts. Most new contracts allowed foreign investors to increase tariffs charged to wealthy and industrial sectors in exchange for a commitment to keeping tariffs artificially low for poorer consumers and withdrawing ISDS claims. This compromise allowed state officials to secure access to basic services for poorer households—a vital policy goal given the unrest amongst poorer sectors of society—while enabling investors to maintain their investment’s viability. This strategy was most effective with investors wanting to continue their operations in Argentina while minority shareholders and investors that exited the market were more inclined to maintain their arbitral claims. Where renegotiations failed, Argentina defended its regulatory choices case by case. Central to its legal strategy was the state of necessity defence provided for under some bilateral investment treaties (BITs) and customary international law. This defence exempts actions taken by states in response to extraordinary circumstances from the substantive protection of the treaties. State lawyers argued that foreign investors must bear a part of the adjustment burden as domestic investors and citizens had done. Such measures, they argued, were also necessary to ensure citizens’ access to basic services, particularly clean water, which is a human rights obligation. As observed by Peterson, arbitrators responded inconsistently. The CMS v. Argentina tribunal ruled that the crisis did not meet the requirements of a state of necessity and awarded CMS US$133.2 million. In LG&E v. Argentina, however, the tribunal found that Argentina had no obligation to foreign investors during that period. Argentina also sought annulments on all awards rendered against it and insisted that such awards be reviewed by its domestic courts at the investor’s expense. This latter facet of Argentina’s strategy has been particularly controversial, drawing protest from foreign investors and their home countries. In 2012, the United States suspended Argentina’s preferential trade status and blocked its access to World Bank loans in retaliation to Argentina’s refusal to pay awards after investors failed to submit them to Argentine courts. Argentina has since agreed to pay the outstanding awards in the form of government bonds at a discounted rate. Argentina’s in-house legal team has enhanced its effectiveness over time according to its corporate opponents. Indeed, the team successfully overturned awards rendered in three of five cases in which arbitrators unanimously rejected Argentina’s necessity defence, including a US$106 million award rendered in favour of Enron in 2007. Argentina’s strategy helped reduce the cost of awards and better time award payment while building the state’s technical capacity to address future investor claims. Ecuador has faced 22 known ISDS cases, many of which were brought by foreign-owned oil firms after attempts to restructure the country’s oil sector. An extensive privatization process undertaken in the 1990s resulted in profits flowing to private oil companies while poverty rates persisted. In 2001, Ecuador announced that oil companies would no longer receive reimbursements on value added tax (VAT), resulting in treaty claims by Occidental, Repsol and Encana. This was followed in 2006 by amendments to Ecuador’s Hydrocarbons Law, which placed a 50 percent tax on oil exports when prices exceeded a benchmark level. As oil prices rose, the government faced pressure to exact greater benefits from oil exploitation. Once Rafael Correa came to power, the Hydrocarbons Law was amended again (in 2007) to increase the windfall tax to 99 percent. Correa’s objective was to use the threat of the windfall tax to incent companies to agree to a new contract model that extended government control over production. This resulted in claims by Burlington, Perenco, and Murphy Exploration. Additional claims were brought in 2006 by Chevron in response to a class action suit lodged by residents of the Amazon rainforest and again by Occidental after the termination of its concession contract. Ecuador was also ill equipped to address its early ISDS cases. Much of the country’s legal defence was contracted out to prestigious law firms in the United States and United Kingdom, which operated under the close eye of Ecuador’s executive branch. Though many cases are pending, contradictions in available rulings reveal the importance of provisional wording in IIAs. For instance, in the VAT disputes, Occidental was awarded US$75 million after arbitrators found Ecuador failed to provide a transparent and predictable framework for planning. The Encana tribunal, however, ruled that foreign investors had neither the right nor legitimate expectation that the tax regime would not change over the life of its contract. This contradiction is due to arbitrators’ interpretations of subtle variations in BIT exemptions related to matters of taxation. Ecuador was also held liable for expropriation in Occidental’s second claim and ordered to pay the company US$1.77 billion. These cases are heavily politicized in Ecuador, and civil society groups actively monitor the proceedings. Accordingly, Ecuador has taken a strict stance on transparency, regularly publishing information about the costs and progress of cases on government websites. The government has also used media outlets to chastise companies that bring arbitral claims. This has helped strengthen support for the country’s withdrawal from its IIA obligations. In 2008, Correa notified ICSID that it would not consent to arbitration over matters involving its oil sector, but arbitrators dismissed the notification. Ecuador then insisted that oil companies surrender their right to ICSID jurisdiction in new contracts signed. The same year, Ecuador enacted a new constitution with an article forbidding the government from ceding sovereign jurisdiction to international arbitration entities outside Latin America. This clause provided a basis for the termination of Ecuador’s existing IIAs with smaller Latin American, Caribbean, and European economies and its withdrawal from the ICSID Convention. Both initiatives received popular support in the National Assembly. The termination of Ecuador’s remaining IIAs has been put on hold pending a final report by a Citizen’s Audit Commission established to develop recommendations on the remaining agreements. The termination of IIAs is not automatic as most agreements continue to have effect for 10 or 20 years after cancellation. Ecuador’s withdrawal from IIAs and ICSID is best understood as a symbolic protest against the systemic injustices of the existing ISA regime and as an attempt to create greater space for the future advancement of the government’s development agenda. While both examples demonstrate the risks of signing on to IIAs, they also demonstrate that investors are not always successful in leveraging the rights IIAs provide them. 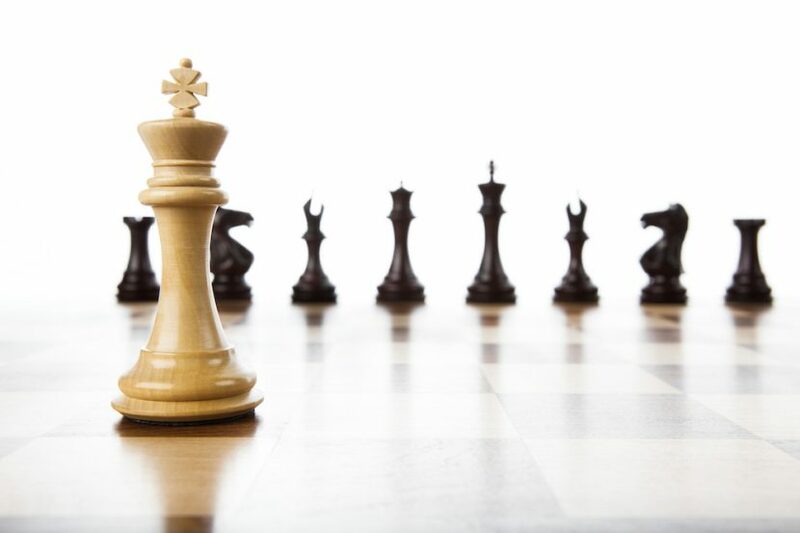 Indeed, the strategies governments adopt inside and outside of legal venues play an important role in mitigating the costs of investment disputes. Government breaches of perceived IIA obligations do not automatically deter investors from staying or investing in the market. The contestation of investment rules in both countries has been informed by suspicion of systemic bias in current ISDS proceedings. Both countries are working to establish an alternative dispute resolution body under the auspices of the Union of South American Nations (UNASUR) that is expected to include stronger transparency requirements and an appellate mechanism, and to encourage local and regional dispute settlement. However, whether Argentina will continue with this initiative under its newly elected government is questionable, given Macri’s commitment to creating a favourable investment climate. Ecuador has also strengthened collaborative efforts with Latin American and Caribbean partners, notably by establishing the Southern Observatory on Transnational Corporations, which is meant to facilitate information sharing on defence strategies while providing training to government officials. Both Ecuador and Argentina’s experiences demonstrate the importance of institutional capacity, and the Observatory is a positive first step. However, there is a need to further strengthen South–South cooperation on matters related to investment disputes both within and outside of the Latin American region. Julia Calvert is a Ph.D. Candidate at the Institute of Political Economy and Department of Political Science of Carleton University, in Ottawa, Canada. This section is informed by interviews with former members of the State’s Attorney General Office, corporate legal representatives and government officials conducted in Buenos Aires from January to May 2014. Peterson, L. E. (2012, January 29). Latest split amongst ICSID arbitrators over Argentina’s necessity defence reflects wide chasm,” Investment Arbitration Reporter. See CMS Gas Transmission Company v. Republic of Argentina, Award, ICSID, Case No. ARB/01/8 (September 8, 2005) and LG&E Energy Corp. v. Republic of Argentina, Award, ICSID, Case No. ARB/02/1 (July 25, 2007). This section is informed by interviews with members of the State’s Attorney General Office, corporate legal representatives and government officials conducted in Quito in October 2014. See Occidental Exploration and Production Company v. Republic of Ecuador, Award, London Court of International Arbitration (LCIA), Case No. UN3467 (July 1, 2004); Encana Corporation v. Republic of Ecuador, Award, LCIA, Case No. UN3481 (February 3, 2006), pp. 49–50. See Murphy Exploration v. Republic of Ecuador, Decision on Jurisdiction, ICSID, Case No. ARB/08/4 (December 15, 2008), p. 86. Next article Next article: Is ISDS in EU Trade Agreements Legal under EU Law?